Pierre and Marie Curie University (Université Pierre et Marie Curie or UPMC - Paris Universitas or Paris 6) is a French university, principal heir to the Faculty of Sciences of the University of Paris. UPMC is now the largest scientific and medical complex in France, active in all fields of research with scope and achievements at the highest level, as demonstrated by the many awards regularly won by UPMC researchers, and the many international partnerships it maintains across all five continents. It has over 180 laboratories, most of them associated with the Centre national de la recherche scientifique. It is located on the Jussieu Campus in the Latin Quarter of the 5th arrondissement in Paris. 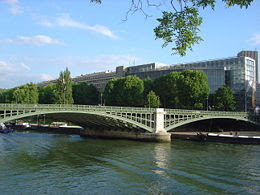 Some of its most notable institutes and laboratories include the Institut Henri Poincaré, Institut d'Astrophysique de Paris, Laboratoire d'informatique de Paris 6, Institut de mathématiques de Jussieu/Chevaleret (shared with University Paris Diderot) and the Laboratoire Kastler-Brossel (shared with Ecole Normale Supérieure). The University's Faculty of Medicine includes the Pitié-Salpêtrière and Saint-Antoine hospitals. Pierre & Marie Curie University (UPMC) is one of the largest universities teaching science and medicine in France, and indeed in Europe, with 4000 researchers and teaching academics/researchers, 180 laboratories, and some 30 000 students including 8000 in postgraduate studies. UPMC is based in the Latin Quarter in Paris, with most facilities on a campus of 500 000m². UPMC also has branches in regions outside Paris : 3 oceanological observatories, at Roscoff (Atlantic Ocean), Banyuls and Villefranche-sur-Mer (Mediterranean Sea). Medicine : 2 medical teaching and research units in Paris teaching hospitals [CHUs]: Saint-Antoine and Pitié-Salpêtrière. Partnerships with a number of hospitals and health care centers. The campus was built in the 1950s and 60s, on a site previously occupied by wine storehouses. The Dean, Marc Zamanski, saw the Jussieu campus standing as a tangible symbol of scientific thought in the heart of Paris, with the Faculty of Science, set in the Latin Quarter, as part of an intellectual and spiritual continuum linked to the university history of Paris. 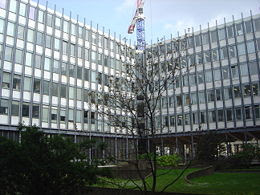 In 1968, the Paris Faculty of Science was divided into a number of different universities. 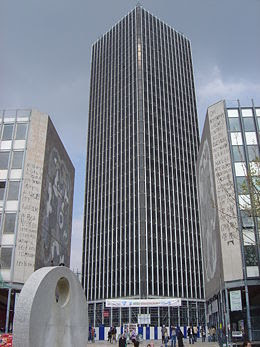 The University of Paris 6 became the scientific center and was set up in 1971; it shares the Jussieu campus with the University of Paris 7 and the Paris Geophysical Institute (Institut de Physique du Globe). 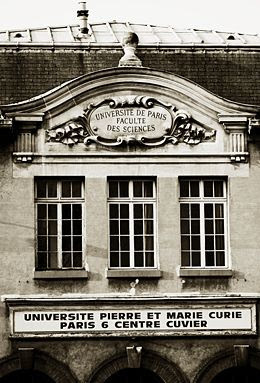 In 1974, the University of Paris 6 chose a prestigious champion when it adopted the official title "Université Pierre et Marie Curie", and ever since has endeavored to perpetuate the scientific legacy of these forebears. UPMC is now the largest scientific and medical complex in France, active in all fields of research with scope and achievements at the highest level. Research at UPMC covers fields in all the major areas of international research, including life sciences, health, genomics & post-genomics, sciences of the universe and the environment, optics, laser technology, information processing, communications, and modeling.